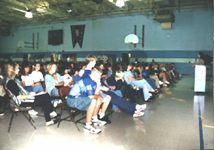 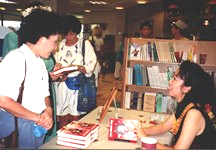 Book Awards, School Visits, etc. 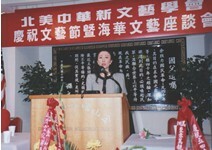 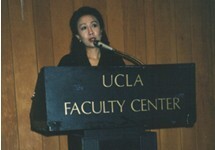 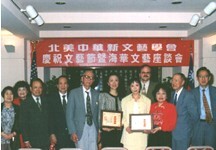 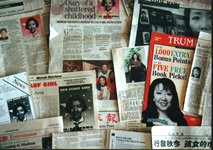 Receiving an award from the Association of Modern Chinese Literature & Arts of North America. 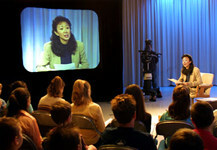 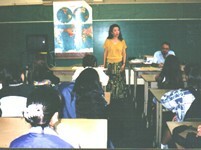 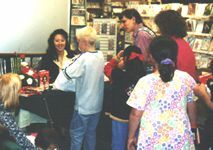 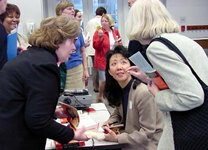 Ji-li signs her book for teachers.